A recent Chicago Tribune headline took some people by surprise: “City enlists residents in fight against rats.” The city was Evanston, Illinois, and officials from the city’s health and human services department are asking the public to help them in the city’s rat abatement program. Evanston’s director of health and human services, Evonda Thomas-Smith, addressed the city council in May regarding the department’s new strategy. She explained that resident involvement is important for the rat-control program to be successful. Residents are asked to call 311 to report rats and get liability waivers so inspectors can go on their property and arrange for abatement methods. Residents can also help by keeping garbage and food in tightly sealed containers, maintaining grass, shrubs, weeds and other vegetation, and close any openings in garage doors and walls. Additionally, people can be mindful of what inspectors call the “35 cents rule.” The 35 cents rule refers to holes in the ground: a hole the size of a quarter can fit a rat and a hole the size of a dime can fit a mouse. Inspectors have all also been out walking the city in full force. They’re searching for any rat infestations and colonies as well as identifying areas that may be appealing to rats. Some of those areas are on residential property and often involved a property-code violation of city ordinance. One property owner had a pile of wood along with a tire and other debris stacked against his back porch. The tire was additionally troublesome because according to the inspectors it can collect water, creating a breeding a ground for mosquitoes, which is a concern due to West Nile Virus. Not every property was that severe though. One of the more common things inspectors noticed was overgrown grass and shrubs, which provides cover for rats. According to inspectors, the cover allows rats to run wild. 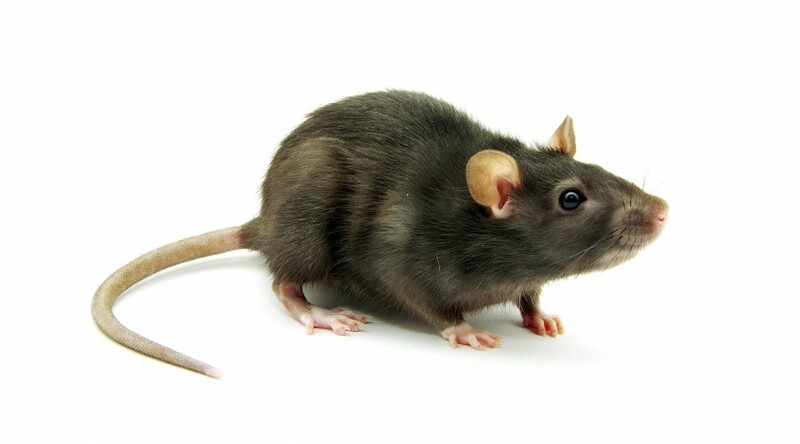 The city of Evanston understands it will take everyone, residents and all of the departments in the city, working together for the rat abatement program to be successful. This entry was posted in Rats & Mice and tagged Rat, rat removal, Rats on August 17, 2015 by Attic Solutions. Imagine you are in your bed, happy to be lying down after a long day but your rest is abruptly interrupted by loud scratching noises coming from your walls or attic. If these noises persist, chances are you have an unwelcome roommate scratching around within your walls, attic, crawlspaces, or basement. Animals that invade homes are looking for food and shelter and if they become too comfortable, they may start digging further into your home scratching through wood, drywall, or insulation. It is best to contact a wildlife control expert such as Attic Solutions if an animal is found in your home. The following are the most common noise-causing home invaders and a description of the noises they make. Bats are most likely to invade homes in the late summer and fall seasons and they often enter through small openings in the attic. They have a tendency to get stuck in walls and respond by making scratching and squeaking noises as they try to free themselves. Bats can also form colonies in attics if there is a significant infestation which can be very noisy and cause property damage. The scratching and scurrying noises from bats occur mostly at night because they are nocturnal animals. If you believe your home may have bats due to scratching noises, contact Attic Solutions to have a professional check it out. Rodents such as rats and mice are among the most common home invaders and they can usually be identified by the scratching noises they make. They can be heard scratching around within walls and ceilings as they seek food and shelter within your home. Attic Solutions can help rid your home of a rat or mouse infestation and implement preventative measures to help keep rodents out of your home. Birds typically enter homes looking for a nesting spot and their quest sometimes causes them to get stuck in walls, attics, or crawlspaces. As birds try to find a way out, they make scratching and chirping noises or cause a commotion by vigorously flapping their wings. They are most likely to be heard early in the morning as they try searching for food. Make sure to contact Attic Solutions if you suspect a bird infestation in your home. Raccoons are known for invading home attics in search of shelter and making homes for themselves out of the insulation. Raccoons are nocturnal animals and can be heard scurrying in the ceiling and making scratching noises in the middle of the night. They are also among the loudest home invaders. It is best to have a professional from Attic Solutions handle a raccoon intrusion as they can be quite wily and dangerous. Squirrels most commonly invade homes through the attic from tree tops and they can be heard running, jumping, and scratching in the ceiling. They are most active during the day and make the most noise when coming and going from the house to look for food. 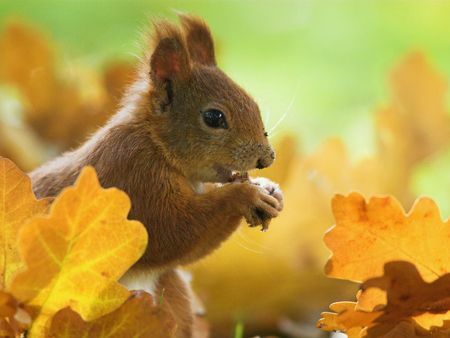 Squirrels can be quite tricky to deal with which is why you should contact Attic Solutions if you discover a squirrel in your home. As soon as you suspect you may have an animal infestation, call us immediately at 847-464-1861 for removal. We are trained professionals and equipped to deal with animal exclusion and removal, including humane live animal trapping (never poisons!). We will remove the animal and fix any property damage they may have caused. Click to read more about animal removal services from Attic Solutions. This entry was posted in Animal Removal, Bats, Birds, Raccoons, Rats & Mice, Squirrels and tagged animal noises, animal sounds, chirping, scratching noises on April 9, 2014 by Attic Solutions.